Los Amigos Invisibles have always been successful at making contemporary dance music that fuses Latin beats with disco, funk, acid jazz and house rhythms. But they have also been loyal to their formative years in their native Venezuela. 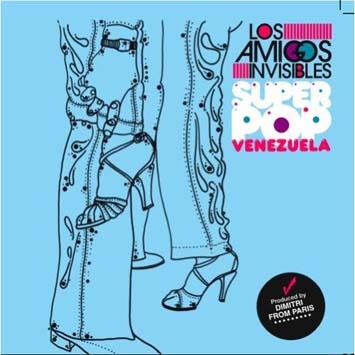 This week, they will release “Superpop Venezuela” (Gozadera Records), a new CD that pays tribute to songs that are close to their hearts, but largely unknown outside of Caracas. 2004 LAI keeps touring USA , UK and Mexico with the success from Venezuelan Zinga Son, with a mayor USA Album Release Show at IRVING PLAZA NYC.